Juan “Tony” Martinez was a man who enjoyed doing fun things. For example, he enjoyed fishing with his friends. And he liked to go out “clubbing” with his friends. He enjoyed comedy clubs too. He loved nothing better than a good comedy show, either stand up comedy or a movie. He was always telling his mother funny jokes and trying to make her laugh. He and his father always had great times together because his father is naturally funny and Tony had a wonderful sense of humor and appreciated humor like no one else. They were always laughing and joking together, When Tony’s Uncle Sheyn died of cancer, in 2007, Tony took it hard because they had been very close. They were only 9 years apart, and Sheyn had also been a crack up, and, of course, Tony had really appreciated that side of Sheyn. Tony really liked computers and he was as proficient on the computer as any of his age. He studied martial arts since childhood, and mixed martial arts throughout young adulthood, and became proficient in street fighting. (Which had been his aim.) 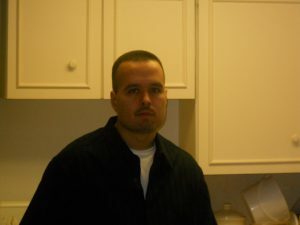 Juan “Tony” Antonio Martinez, died on 17 May 2011 at only 30 years of age. We miss him terribly, but, we know we will see him again. We love you, Tony!